MolPort List Search is a tool, available on the MolPort homepage, which aims to simplify the sourcing of a list of reagents or HTS samples. If you have compound structures in form of an SD file, a SMILES string list, or a list of MolPort ID references, you can do a quick search and optimize the shopping cart in real time. See the List Search user guide. However, your specified sample amount applies to all compounds by default, which is great for HTS compounds, but may not be the optimal way to order building blocks. Your reference number for the compound. Specifies the structure of the compound. This is the desired sample amount of the compound in milligrams (other measurement units should be converted to milligrams to use this feature). Should the required amount of the compound is not available, you can specify the minimum amount you would be interested in. The sourced amount will be within the range of the Minimum acceptable amount and the Required amount. 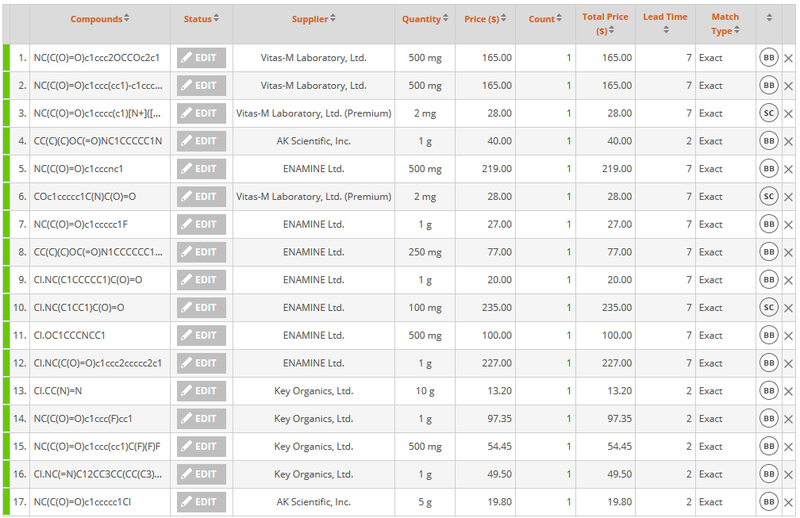 If the available sample amount is less than this quantity, the compound will be listed as unavailable. 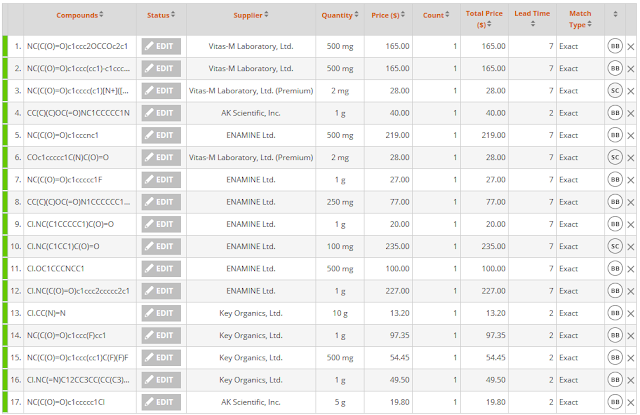 After specifying the desired amounts for separate compounds, you can either finish the ordering process online or generate a quote for creating a purchase order through your Purchasing Department.